Lentils are known since ancient times for their great nutritional value and are associated with coins because of their shape. For Italians eating lentils on the last day of the year means having a year of abundance, money and economic rewards. 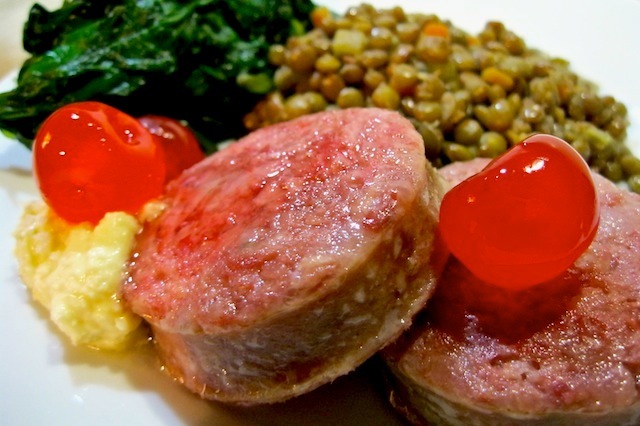 Traditionally lentils are served with cotechino (pork sausage) or zampone (stuffed pork knuckle). The fatty and nutritious pork meat equally stands for abundance and prosperity. Another custom is to eat pomegranate the last night of the year as a symbol of fidelity and fertility. Eating this delicious fruit together with your partner, boyfriend or husband is a sign of devotion and prosperity. Following the color of pomegranate seeds, it is believed that wearing red underwear on December 31 will bring love and luck in the New Year. Yet the custom is that it has to be thrown away the next day. What is the New Year tradition in your country?